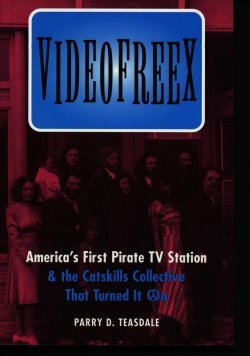 SFrom 1972 to 1977 the VIDEOFREEX aired 258 television broadcasts from a home-built studio and jury-rigged transmitter in an old boarding house they rented in the tiny Catskill Mountain hamlet of Lanesville. It was a revolutionary act in defiance of FCC regulations- the first unlicensed TV station in America. Complete with help from Abbie Hoffman, spying by the FBI, and encounters with cultural icons from the '60s and '70s ranging from the Hell's Angels and the Black Panther Party to network newscasters, this is a true saga filled with memorable characters from a time of change.